Israeli prime minister Benjamin Netanyahu dropped an intelligence bombshell on the world Monday and, with it, may have signed the death warrant for the 2015 Iran nuclear accord: Thousands of files seized from inside Iran definitively prove that the Islamic Republic has been deceiving the international community all along. The regime lied to the International Atomic Energy Agency about the existence of a nuclear-weapons program, and, in direct violation of the Joint Comprehensive Plan of Action (JCPOA), hid its massive archive of nuclear know-how. The response from President Donald Trump should be no different than his response to North Korea: maximum pressure until the complete, verifiable, and irreversible dismantlement of Iran’s nuclear infrastructure. In 2015, when the Obama administration negotiated the JCPOA, critics warned that Iran would ultimately follow in the footsteps of North Korea, which reached its own nuclear agreement with America in 1994. In that accord, known as the Agreed Framework, North Korea promised to freeze its production of plutonium in exchange for heavy fuel oil and light-water reactors. As it turned out, the North covertly developed a uranium-enrichment program, which, when combined with its unabated development of ballistic missiles, turned it from a national-security problem to a national-security nightmare. Just two and a half years into the JCPOA, it appears Iran’s intentions are equally nefarious: It is using the JCPOA to buy time to regain economic strength while continuing work on ballistic missiles and advanced centrifuges until it decides to build nuclear weapons. 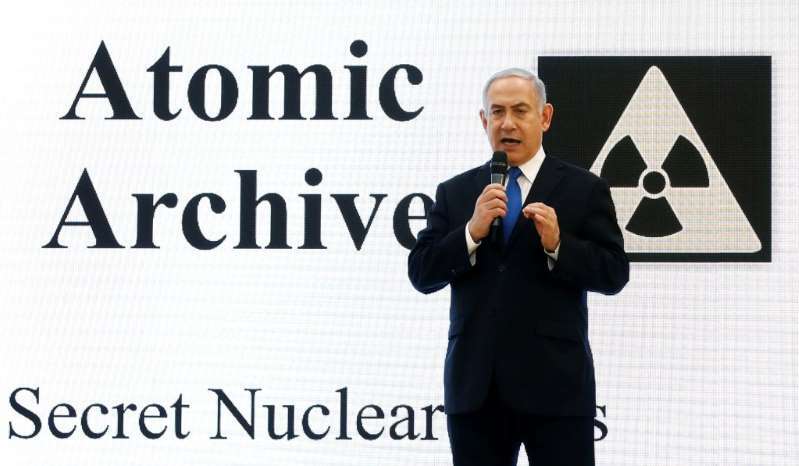 The regime’s own archive, as revealed by Netanyahu, confirms that Tehran is on a slow but clear path toward nuclear capability. Netanyahu’s revelation comes days before President Trump’s deadline for Europe to help him fix certain flaws in the nuclear deal or else face an American exit. For months, State Department negotiators have worked with their counterparts in London, Paris, and Berlin to find ways to force inspections at Iranian military sites, extend the deal’s restrictions beyond 2025, and curb the Iranian ballistic-missile program. Iran and North Korea have a long history of nuclear cooperation — and of nuclear deception. Now is the time for Mr. Trump to hold both rogue regimes to the same denuclearization standard. Over the weekend, Pompeo said that the United States will continue to exert maximum pressure on North Korea until that regime completely, verifiably, and irreversibly dismantles its nuclear program. The standard for Iran should be no different. The fatal flaw of the JCPOA, after all, was that it gave up the leverage of economic sanctions without any guarantee that Iran would dismantle its nuclear and missile programs. Working to rectify that flaw should be Trump’s top priority. Since Iran violated the nuclear deal’s preliminary condition for sanctions relief — the full disclosure of its past and present work on nuclear weapons — and violated its ongoing commitment to never pursue nuclear weapons, the Trump administration should trigger the agreement’s procedures to restore international sanctions imposed by the United Nations Security Council. As this “snapback” process unfolds, America should re-impose its own sanctions, bringing back pressure on Iran’s central bank, its key economic sectors, and nearly all Iranian financial institutions. Trump should also insist that Europe follow suit, ordering the SWIFT financial-messaging service to stop serving Iranian banks that are once again subject to sanctions. Maximum pressure must not be economic alone. It will require intense political efforts to ensure that the Iranian public knows the mullahs not only squandered the sanctions relief provided in 2015, but are directly responsible for the JCPOA’s collapse. It will require raising the cost for Iran in Syria and Yemen, by supplying Israel, Saudi Arabia, and the U.A.E with the real-time intelligence needed to strike Iranian targets. And it will require reminding the regime in Tehran that there will be consequences if it tries to race to a nuclear weapon — that its only viable option is a peaceful negotiation ending in the full disclosure and irreversible destruction of all illicit programs.